You are at:Home»Featured»A student home or palace for the poor? NGO run student homes are often pictured as having a shabby building providing poor grade education to its inmates. But this humble abode of orphans says a different story. In my last two decades of association with charitable organisations & social institutions and studies in the areas of development economics, I have come across scores of wonderful NGOs and warm-hearted people. Some are doing excellent grass-root work and a few are pioneering in social innovations. However, most of the NGOs either fail to scale up or sustain themselves after a decade or so. Be it the shift of focus, lack of new people & ideas or impact of external politics – these institutions stop expanding. Fortunately, there are exceptions too. I come across a century old establishment, which is expanding in its domains of work but also increasing the number of beneficiaries each year. Ramakrishna Mission Students Home (RMSH), Mylapore in Chennai stands tall with its decades of contribution to the society. The organisation with its principle firmly rooted to the teachings of Sri Ramakrishna and Swami Vivekanenda that service to man is service to God was established in 1905. As an ardent disciple of Sri Ramakrishna, Swami Ramakrishnanda founded RMSH with 5 orphan kids. Initially, the aim was to provide free board and lodging for destitute and orphan boys allowing them to have their education in a nearby school. Later for a fuller realisation of the Gurukula ideal, a residential high school was started in 1922. The Students Home is located at P.S. Sivaswamy Salai in Mylapore. 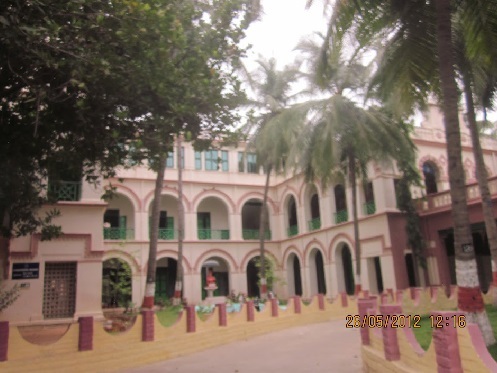 RMSH comprises of four components namely, Residential High School, Residential Polytechnic College, Collegiate Section and Centetary Primary School (for girls & boys). The last one is a day school where kids are transported daily from their homes and are given free education along with free mid-day meal. At present, there are nearly 700 students studying in RMSH. They are provided free education, board & lodging. 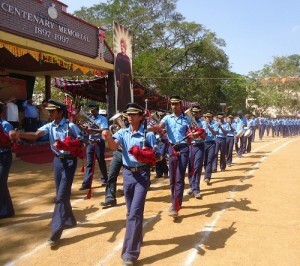 Almost all activities of the Home, like cleaning, washing, upkeep of the surroundings, serving food in the dining halls, maintenance of the gardens, management of the stores, maintenance of electrical installations, computers and water pumps, library management etc., are carried out by the boys themselves under the overall supervision of the wardens and teachers. So, how does RMSH contribute to the society? Our ancient scriptures mention that there are three types of services that are to be rendered to a man viz. Physical (food, clothing & shelter), Intellectual (learning, reasoning & concentration) and Spiritual (to manifest his real nature). In RMSH all these services are given equal importance. Since its inception, thousands of poor students have been rehabilitated. All of them reached self-fulfillment both materially and in the finer graces. In as much as they feel and declare that their stay in the Home shaped their attitudes for the betterment of their lives. The Home considers its efforts have been amply rewarded. The most amazing work of RMSH is that each year they scout for orphan & destitute kids across Tamil Nadu. They bring in these buds, under the shelter of the home, nurture them, show them the right direction of life, bring about humanity in them and then help them pursue a good profession for livelihood. So many innocent lives could have gone astray if RMSH was not around. They give a normal life to a helpless kid instead of letting him exploited by the social system. This kind of noble work certainly has a multiplier effect to the society. The institution has an Alumni of eminent men comprising internationally renowned professors, scientists, defence officers, philosophers, senior administrators (both in Government and outside), doctors, engineers, technicians and last but not the least, monks of the Ramakrishna order. In its glorious history covering over a century, the Students Home gave rise to and promoted the growth of several organizations devoted to education of the weaker sections of the society. In 1938, an organization by name “Sarada Vidyalaya” was established for the alleviation of women in distress, by Sister Subbalakshmi. It was affiliated to the Mission through the good offices of the Home. Thus the Mission gave stability and continuity to the women’s welfare. In the 1930s a philanthropist donated 146 acres of dry land and transferred an additional 36 acres of trust property in a village by name Malliankaranai, 81 KM from Chennai, to the Students Home. Starting from this base, the Home developed it into a rural centre consisting of an estate for agriculture, a High School and an Elementary School for boys and girls and a rural hostel for orphan and destitute boys aspiring for education. The Home provided land, building and all the initial support for the startup of Vivekananda College, Chennai. This college established a reputation for great achievements and for inculcating moral outlook. Contemporary Education: A new mathematics lab was inaugurated in the High School campus. Math Lab offers Multiple Teaching and Learning Aids as well as a complete theme-based ambience which helps students to visualize and feel mathematics. Science Park is a cluster of open air Science gadgets installed permanently to facilitate an easy way of learning science. Technical Education: The Polytechnic College of RMSH was adjudged as the outstanding educational institution during 2012 by the National Institution of Quality and Reliability. All the students who complete their Diploma courses were placed in different industrial establishments. Many reputed concerns (HCL, WIPRO, Ashok Leyland, Rane Group, Royal Sundaram, etc.) carried out campus interviews and took our students for further training and eventual employment. Community Service: Senior hostel students clean up premises of the temples located outside the RMSH campus during festivals.Sponsored by GoI, RMSH has been carrying out ‘Sustained Graded Value Education Programmes’ for 11 schools, touching 450 students’ lives. Environmental Initiatives: A solar photo voltaic power system of 5KVA has been installed on the terrace of the Polytechnic college. Rural Development Programme: The Home has launched ‘Vivekanenda Swasthya Parisheva Prakalpa’ to fight child malnutrition, and to give preventive and curative medical care to the needy mothers and children in the nearby villages of Madayambakkam & Perumalcherry in Kanchipuram district. RMSH has started ‘Gadadhar Abhyudhya Prakalpa’ in a slum near Kathivakkam, Ennore with a view to facilitate all-round devolopment for socially & economically deprived children. Currently 100 needy children are under the ambit of this programme. Lastly, I would like to mention about one of the oldest students of the home – Mr. S. P. Srinivasan. Seven decades ago, a kid without home, parents & shelter was brought to the Home from rural Tamil Nadu. The kid completed his studies, turned into a man, got a T.N. government job, and fullfilled all his responsibilities as an ideal father, husband and employee. Once retired, he was back to his ‘home’. He is 82 years old now, and still serving the Home each day. The home has produced such extraordinary personalities. This makes me feel confident that RMSH will contribute in a bigger way to the society in the coming days. In fact, we need more institutions like this, and many selfless students like Mr. Srinivasan for a better world. The Home has just completed 108 years of useful service to the student community. In RMSH, old values are still afresh, brotherhood is abundant, service is carried out with joy, and above all the Home strives to preach & bring out humanity to all. This makes me call the place a palace, where you find richness in the quality of lives. P.S. This article was reviewed by an old student of RMSH for factual errors, who is only 93 years old and serving his ‘home’ at his best capacity.